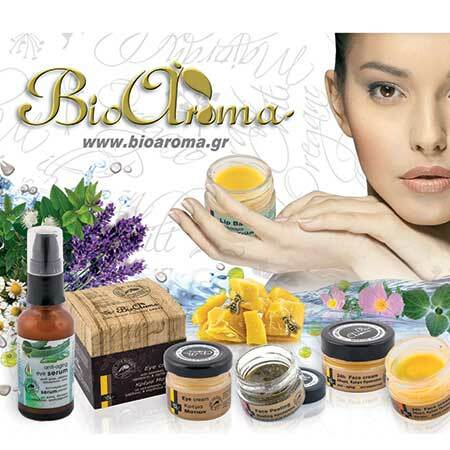 Face Mask with Green Clay for Deep Cleansing Bioaroma was added to your shopping cart. Face Mask with Green Clay and essential oils for oily and combination skin. Face mask with Green Clay Bioaroma ideal for oily and acne prone skin. Use: Mix a teaspoon of face mask with Green Clay Bioaroma with water until it becomes a liquid mud. Apply the mask on face and neck and let it dry for about 15-20 '. Rinse with water. For more hydration, spray the face with toner made from Dittany and rose extracts. Ingredients: Montmorillonite (Clay), Citrus Aurantium Bergamia (Bergamot) Fruit (Bergamot) Oil, Linalool, Limonene (components of essential oils, 100% Natural).